If you’re looking for an easy road map to human ethics, literature ain’t the place for you. While the digital marketer can embark on a personal branding journey, what is left for the cashier or barista in an age of zero-hour contracts and gig work? This is a fantastic and a helpful review. 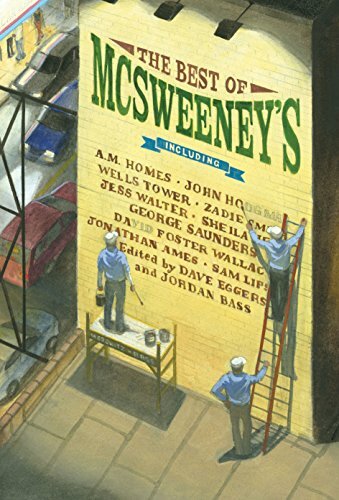 I think my only problem with McSweeney’s is that it has become the kind of empire that the New Yorker now is as well. New voices are harder and harder to come by in such venues, so we see a recycling of the kind of “new” or “avant-garde” or “experimental” fiction that we are already familiar with. Martin Amis recalls that when he was in Cyprus to be best man at Hitchens’s first wedding in 1980, he would spend his mornings decamped by the pool, whereas Hitchens would often show up in a suit and announce his immediate intention of going to the bar to find someone to argue with. Hercules, as Mark Braude tells us in his sprightly history of Monte Carlo, was supposed to have stopped in Monaco en route to completing his 10th labor. This feat involved stealing a herd of cattle from Geryon, a six-limbed giant who was assisted in his shepherding duties by a two-headed hound, and ferrying the herd back to Greece as various gods, including Hera, sought to sabotage him. All told, he had better odds than the average visitor to a Monte Carlo casino, the wealth of which is, as Evelyn Waugh put it, “derived wholly and directly from man’s refusal to accept the conclusion of mathematical proof.” Unlike even the most powerful and vindictive of Greek gods, the house always wins. In Making of Monte Carlo: A History of Speculation and Spectacle, Braude describes how savvy impresarios actualized an illusion of their own devising: Monaco as a glamorous oasis in which “sun-kissed lives played out on clay courts and under canvas sails.” Monte Carlo was a creation of modernity and myth. Braude writes early on that his book is about “how we create places largely through the stories we tell about them, and about how places can in turn be made to suit those stories.” The original casino-resort, which began to take shape after Monaco legalized gambling in 1855, depended on new forms of mass advertising — color posters “featur[ing] fast men and fast women doing fast things in fast machines” — to entice visitors and new rail routes to deliver them to the casino entrance. But as Braude wryly notes, the real Monte Carlo only began to resemble this fantasy land of careless pleasure when “enough people had passed through and lost enough money.” To tweak the famous line from Field of Dreams, if you pretend to build it, they will come. Bandits were spotted there from time to time, holed up in the dark caves, coming out to rob anyone foolish enough to wander into that wild stretch of land, where the normal rules didn’t apply. Should a foreigner wish to be robbed by these cave-dwelling brigands, or by the fledgling casino for that matter, he would have to endure a “nauseating three-hour carriage ride from Nice along the narrow Cornice mountain road, littered with highwaymen, followed by an hour’s walk down rocky hills.” No wonder then that Les Spélugues casino opened in February of 1863 “with little fanfare and to near-universal indifference.” In the early days of Monaco’s gaming industry, customers were so scarce that croupiers “install[ed] a telescope in their smoking spot so they could check every so often to see if any player came down the road, which sent them scurrying back to their posts.” Even a loafing employee can keep his eye on the prize. Shortly after its opening, the rumor that a bank-busting gambler, Thomas Garcia, was headed to Monaco caused the SBM to panic. They reached out to François Blanc, the man who had turned Bad Homburg into an immensely profitable resort. François was a cardsharp-turned-stock trader who, operating with his twin brother Louis, made his first fortune through illegal machinations that seem almost quaint by today’s standards. Operating from Bordeaux, the Blanc brothers would bribe officials along the telegraph route from Paris to pass on coded messages about the day’s bond activities, thereby giving the provincial traders an edge. François then apprenticed in gaming management in the clubs, called enfers (hells), lining Paris’s seedy Palais Royale — the arcaded palace once belonging to the Duc D’Orléans. When François was approached by Monaco’s SBM to take over its gambling concession, he deployed a curious strategy to maintain the upper hand in negotiations: “He acted aloof and irritable, blaming his mood on a nagging boil that made it impossible for him to sit, due to its unfortunate placement.” Whether the boil was real, or he was merely bluffing, is a mystery the old gambler took to his grave. Blanc was responsible for transforming the sleepy outpost into a world-renowned luxury resort. Thereafter Monaco became a kind of dual monarchy: “True power in Monaco dwelt not in the House of Grimaldi but in the House of Blanc.” Blanc urged Prince Charles to rename the resort to give it a loftier name, which he did, naturally, after himself: Les Spélugues became Monte Carlo. Blanc also exoticized Monaco, importing vegetation “from Africa and the Americas, turning this gambling town at the fringe of Europe away from the continent and toward the Mediterranean and the New World.” His well-trained staff kept out all the undesirables — criminals, prostitutes, French and Italian officers, priests — and enforced a strict dress code, though some superstitious players managed to sneak in their preferred talismans, including live pigs, cooked pigs, bat’s hearts, and turtles. …collection of moments, an onrushing flood of pleasures, of posing and of being posed for, of showing off one’s body and the things it could do, of getting into and out of dangerous and brief liaisons, of being entertained by the sight of something shiny and new rushing by and then running off to be distracted by the next novelty. This is excellent, and strikes me as equally descriptive of Braude’s book, the strength of which lies in a similarly diverting “collection of moments” rather than a sustained narrative. Making Monte Carlo’s short, punchy chapters are usually broken into short, punchy sections with a self-contained anecdote or two, most of which are sufficiently contextualized. The only time Braude missteps is when he attempts to raise the stakes by adopting a sensationalist tone, for example setting up one chapter by intoning that “these same golden years were also marked by scandal, violence, and tragedy.” That may be true, but it is all so breezily recounted that the portentous set-up rings hollow. The primary pleasure in Making Monte Carlo comes from watching the various eccentrics, lowlifes, high-rollers, and famous artists stroll in to take a seat at the table. Edvard Munch uses his government scholarship money, generously provided to help pay for art classes in Paris, though he did have the decency to produce a painting from the experience, “At the Roulette Tables in Monte Carlo.” Karl Marx, following the advice of his doctor, who espoused the benefits of “heliotherapy,” finds himself frequenting the same resort as sybaritic Russian royals who, “after growing bored with their caviar tasting, made a game of smashing champagne bottles” against the walls. Elsa Maxwell, the American publicity maven known for trotting out trained seals during the fish courses of her parties and traveling with 14 trunks for her press clippings and one hat box for a change of clothes, swoops in to reinvigorate Monte Carlo in the post-WWI years. Zaharoff brought in his friend Réné Léon, who was terrific at running the casino but had the unfortunate habit of occasionally running over pedestrians in his car. And then there’s this little bit of tax-shelter trivia: In a bid to ease tensions with his perpetually poor Monégasque subjects, who resented the influx of foreign casino workers, Prince Charles abolished the income tax in 1869, a move that “unknowingly set Monaco on the course to becoming the world’s first modern tax haven.” Perhaps we could call this trickle-up economics? Braude aptly concludes with the inaugural Monaco Grand Prix in 1929, a motor race that wound its way through the principality’s streets, an account chosen for thematic rather than dramatic reasons. The race was relatively uneventful, but Braude sees in the speedy cars circling round and round an “endless loop of self-regard” typifying Monte Carlo’s strenuous commitment to dizzying frivolity. Julian Barnes’s sparkling new collection of essays is a veritable treasure house of letters on novels and their authors.